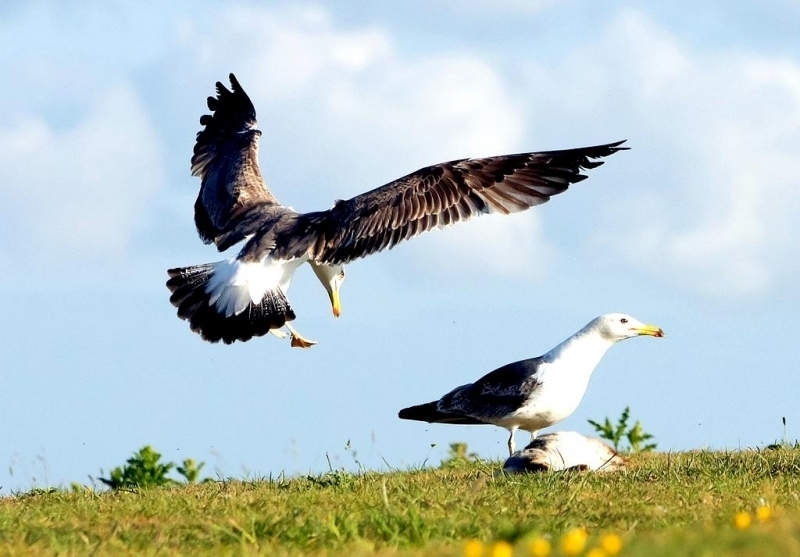 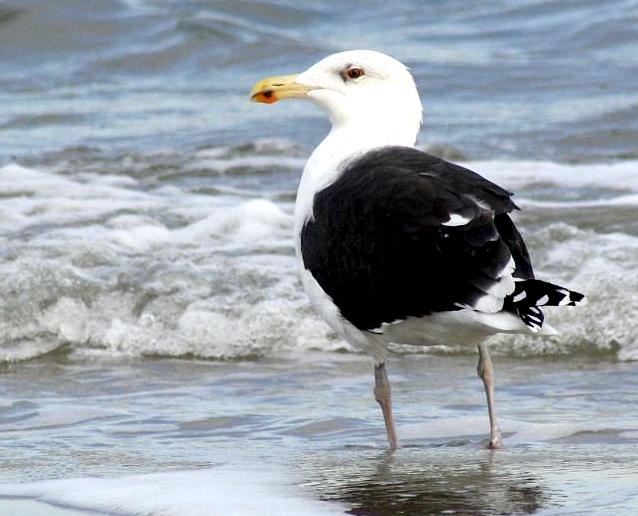 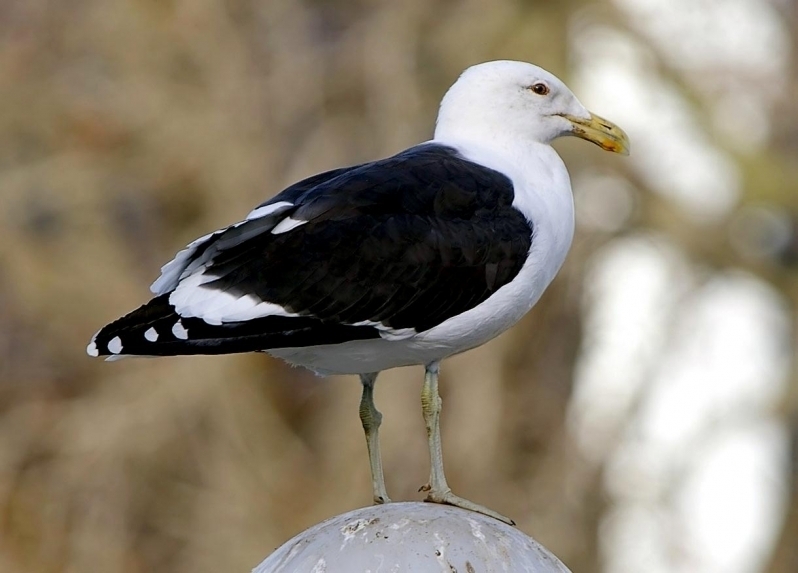 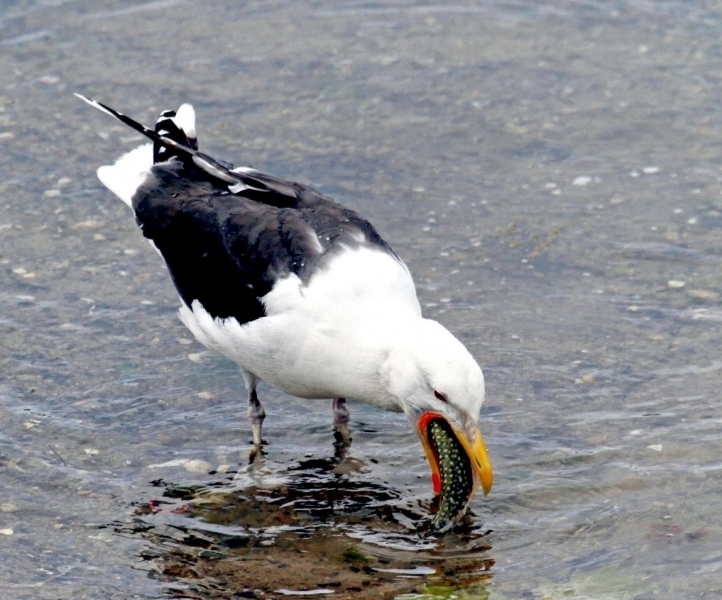 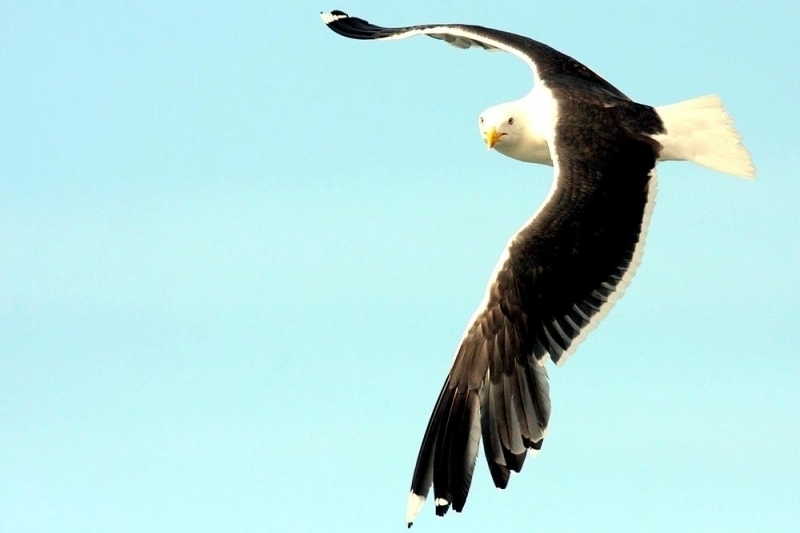 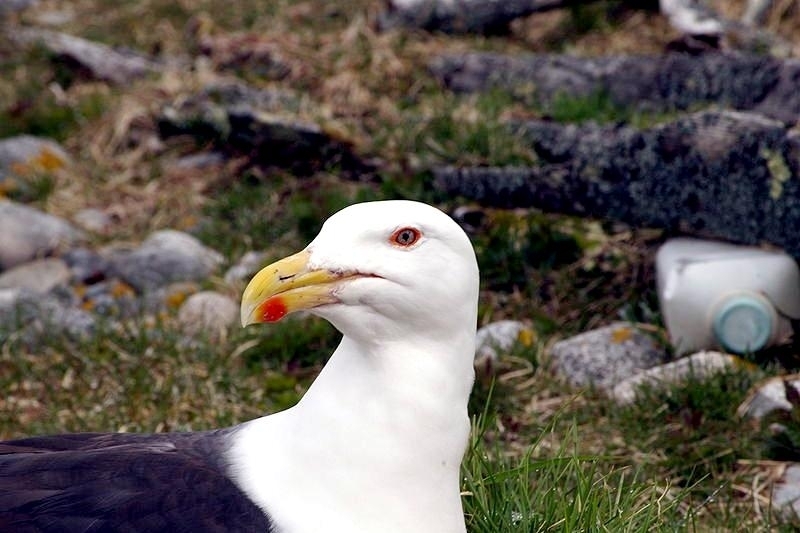 The king of the Atlantic Ocean waterfront, the Black-backed Gull is the largest gull in the world, with a powerful build and a domineering attitude. 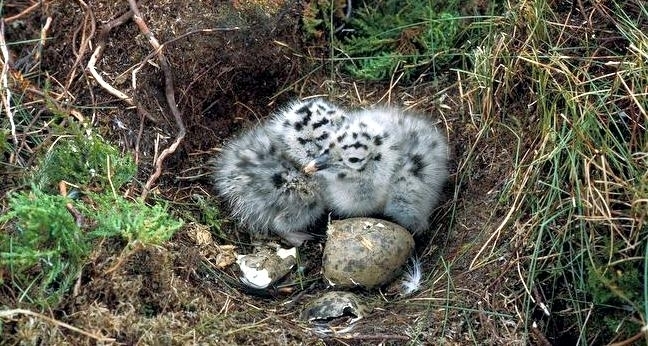 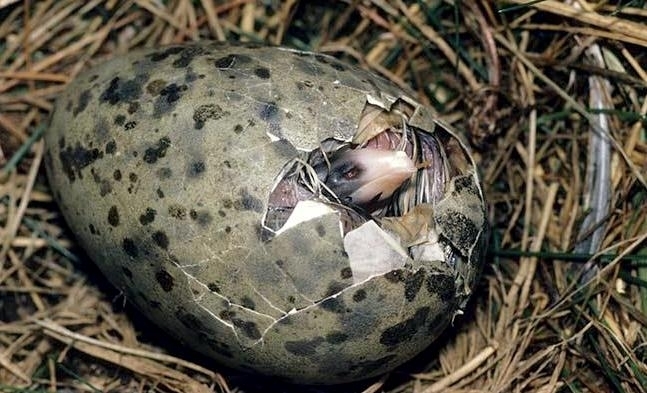 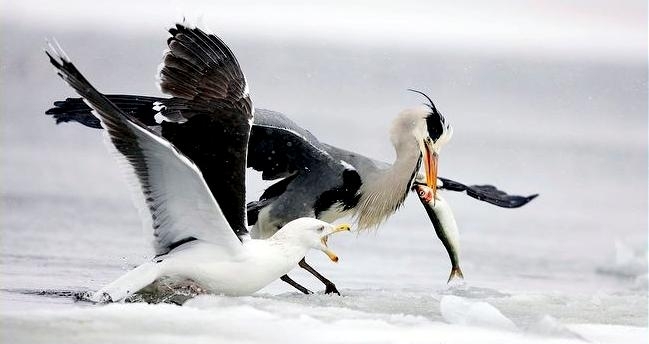 They harry other birds to steal their food and even hunt adult birds such as Puffins. 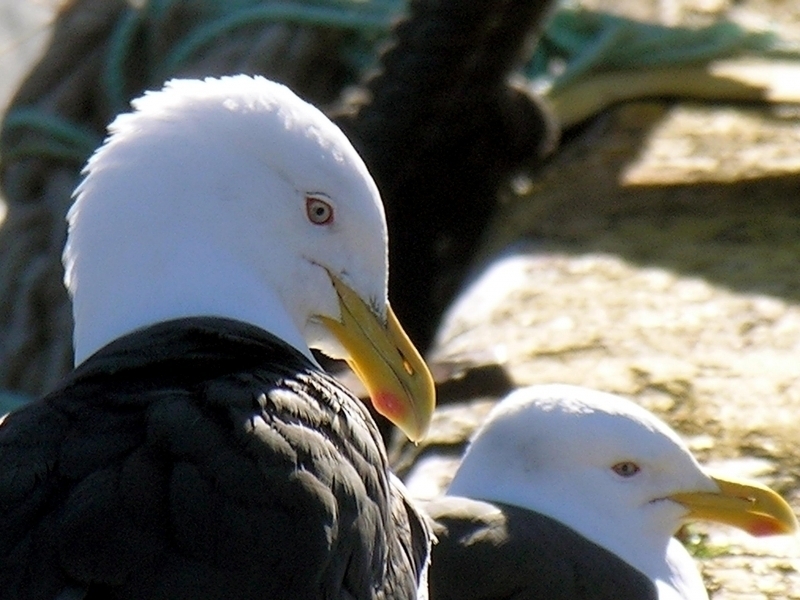 Adults are handsome with broad black wings, gleaming white head & big yellow bill. 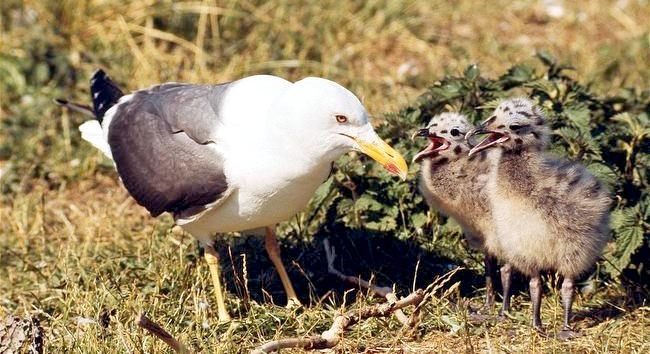 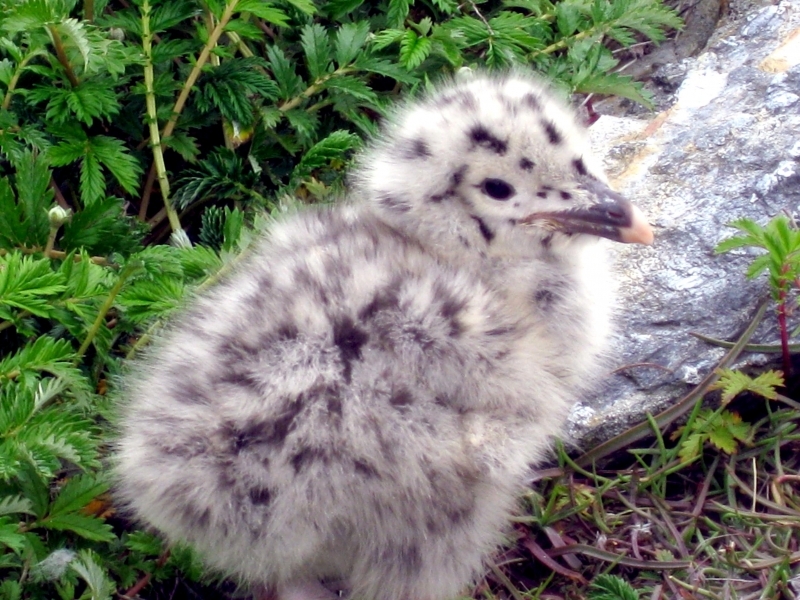 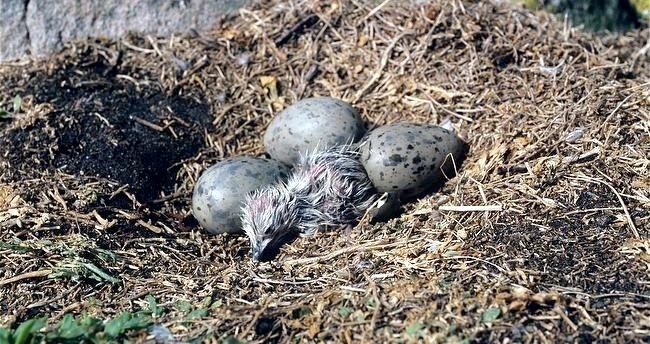 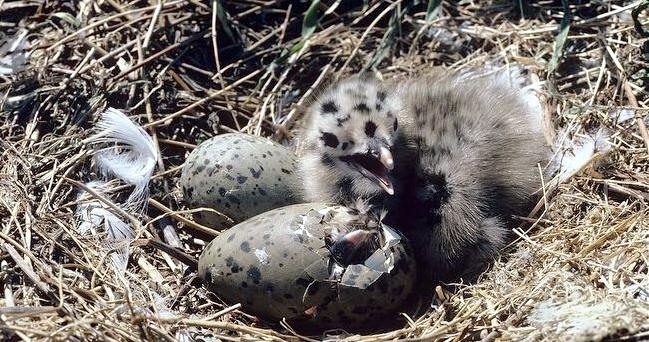 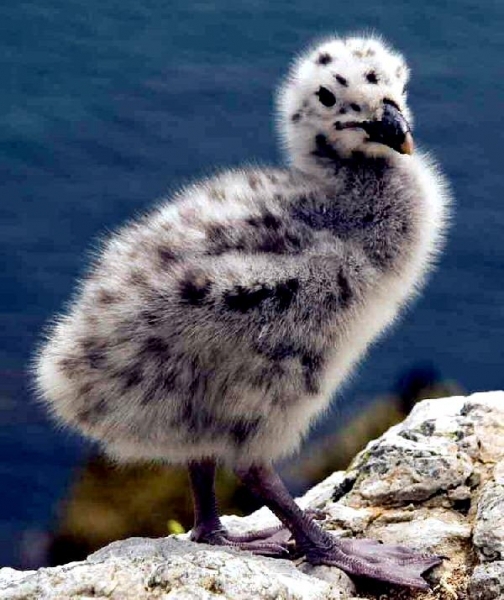 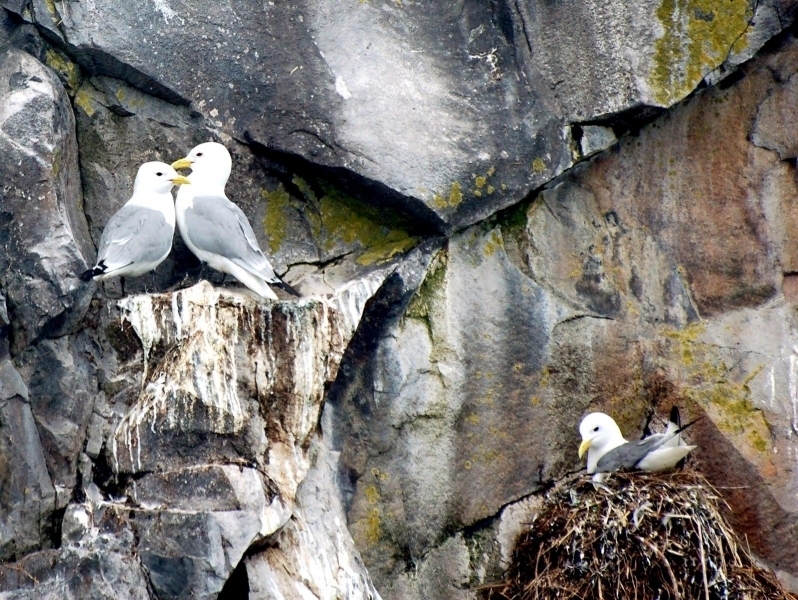 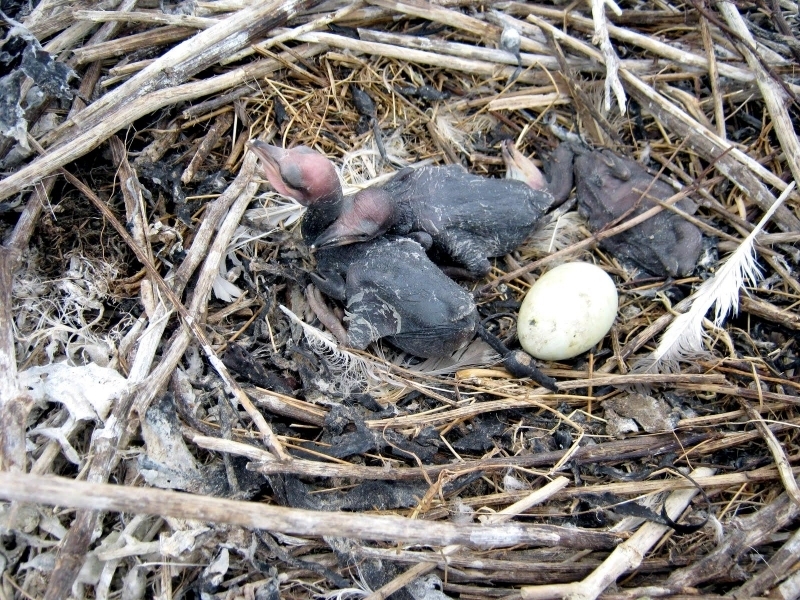 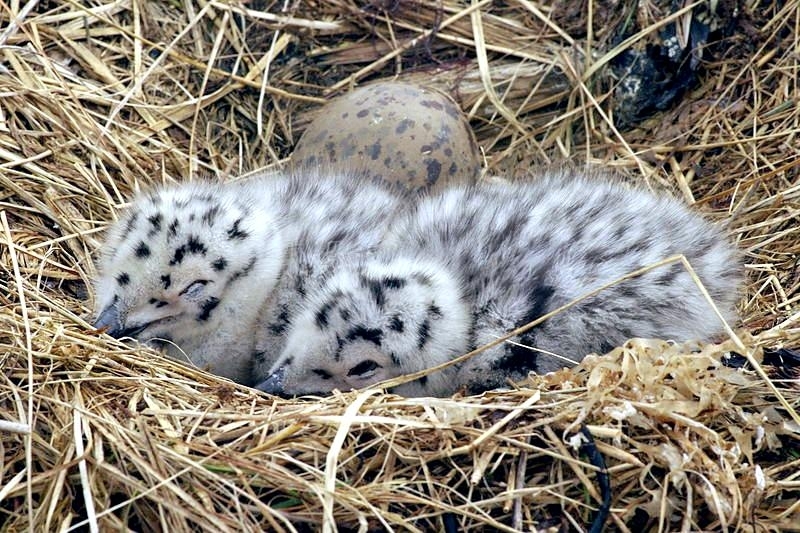 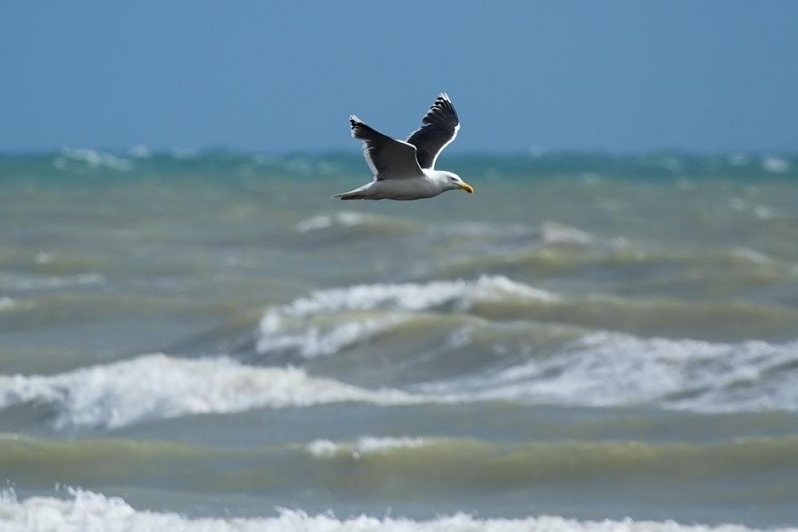 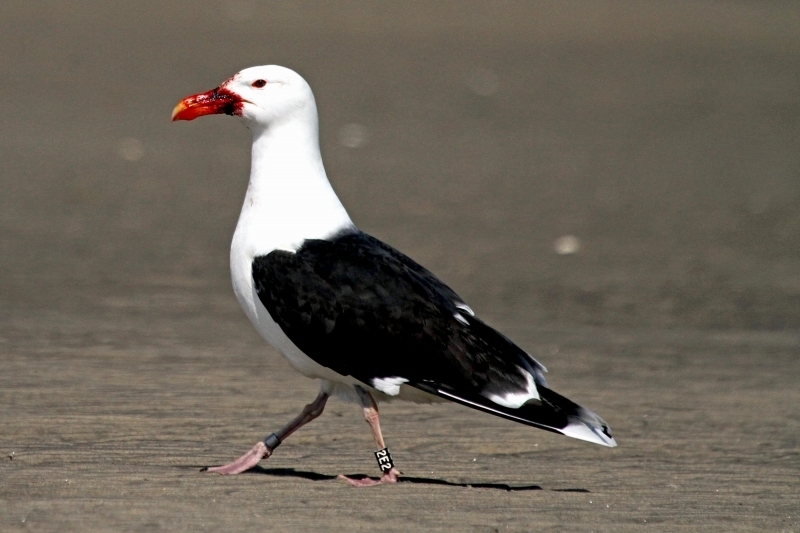 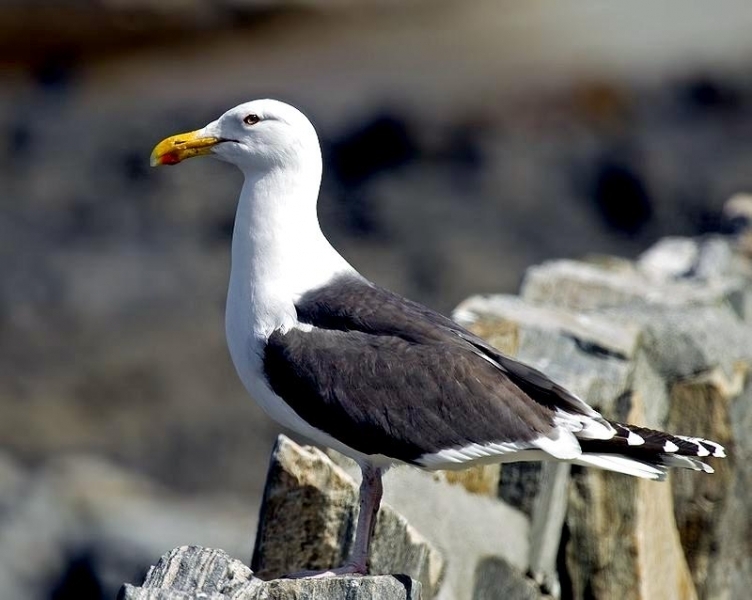 North American populations were once severely threatened by the feather trade, but numbers rebounded in the 20th century and Black-backed Gulls are now a common coastal sight. 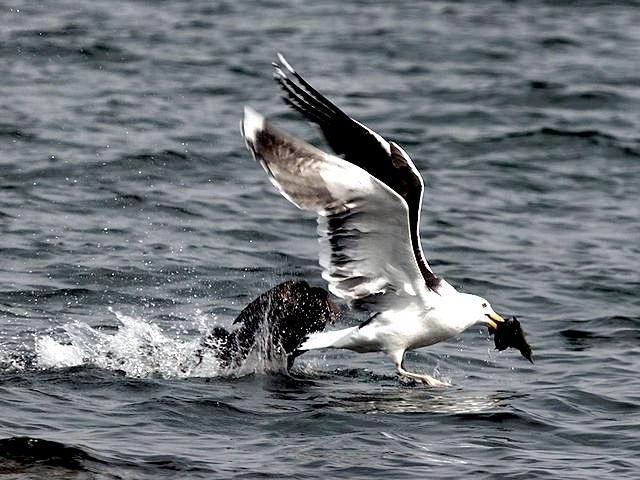 A dominating predator that has been described as a “merciless tyrant” due to its aggressive feeding habits. 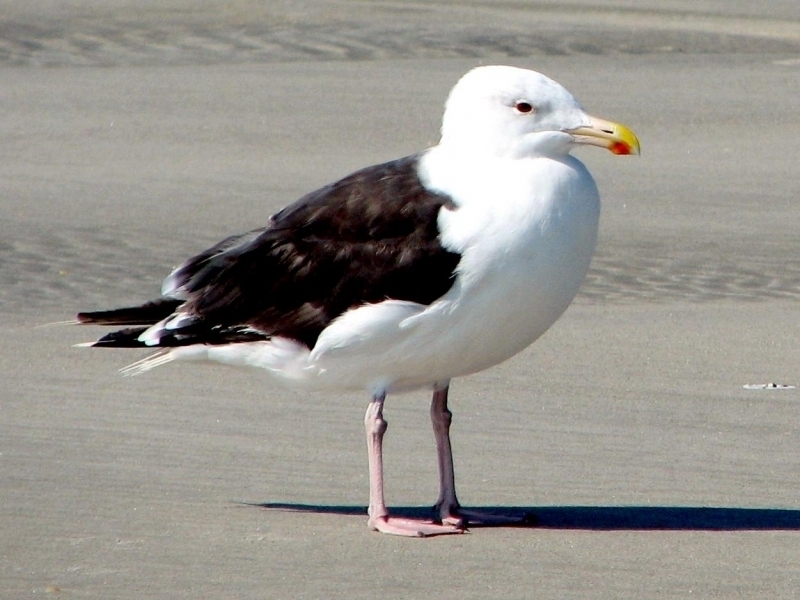 This powerful bird has a thick-set body with a large, yellow, red-tipped bill, strong legs and wide, webbed feet which have a delicate pink hue. 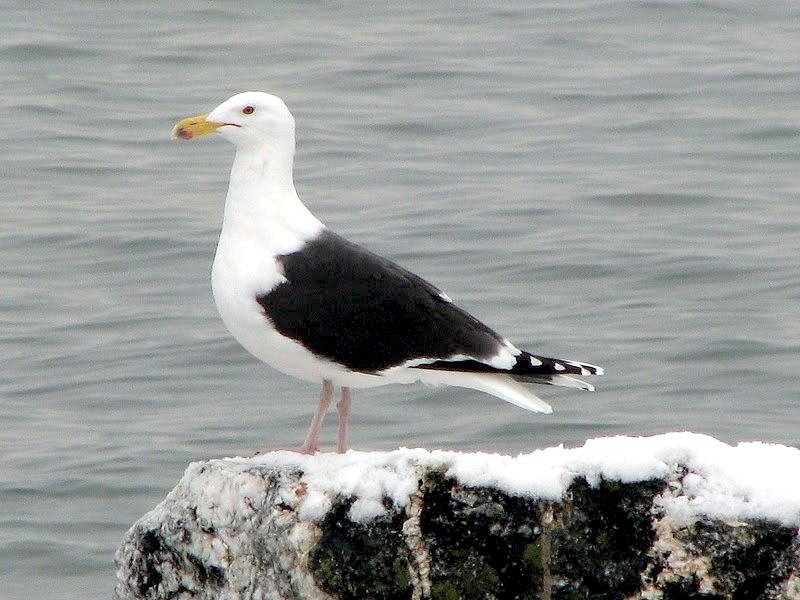 The breast & head are snowy white and sit in stark contrast to the black back and wings. 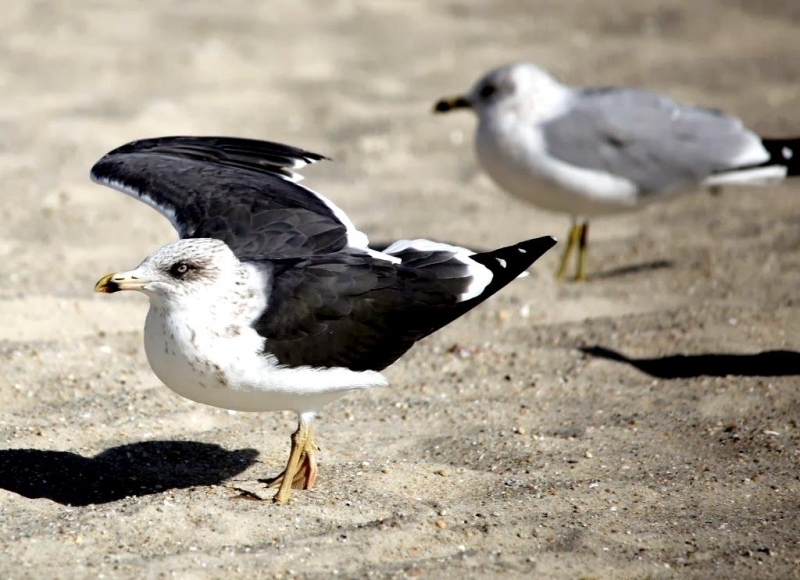 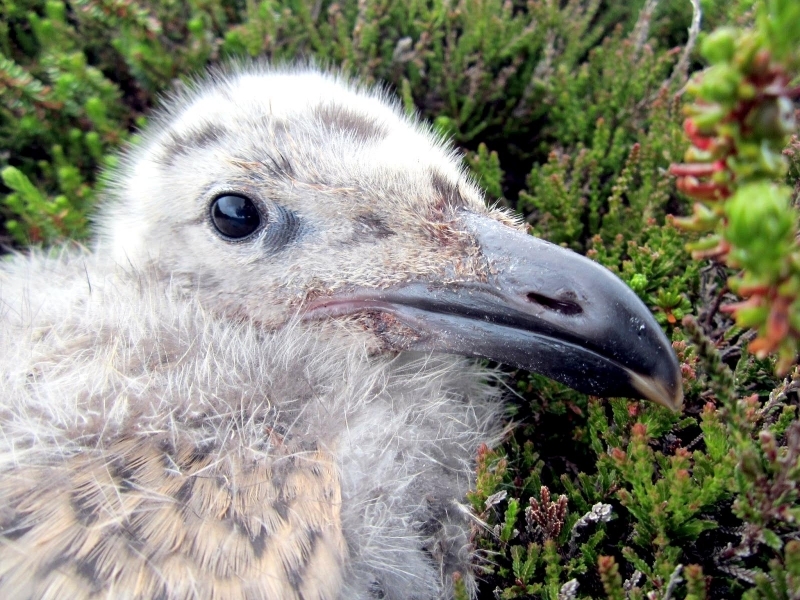 Young Black-backed Gulls undergo several plumage changes before taking on that of the adult. 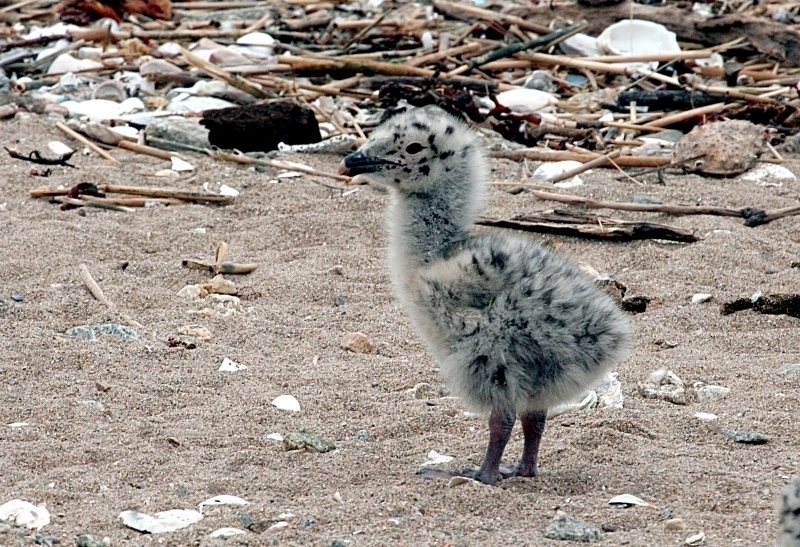 Juveniles are pale brown with heavy white mottling while immature are also mottled but have a distinctive whitish head and breast with a dark-tipped, pale bill. 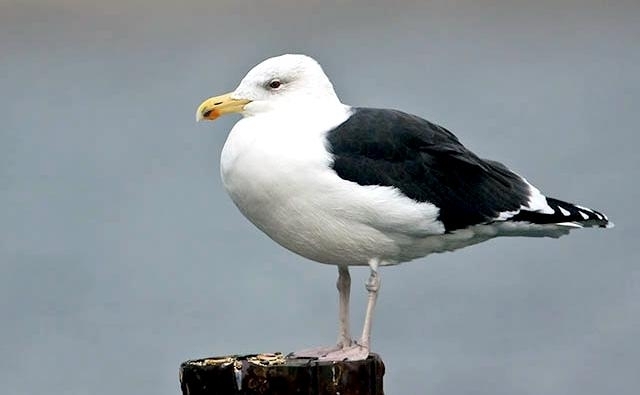 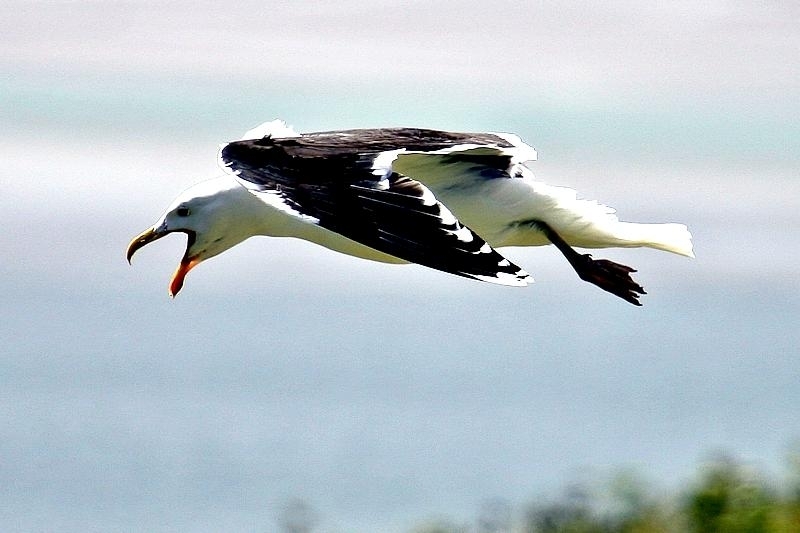 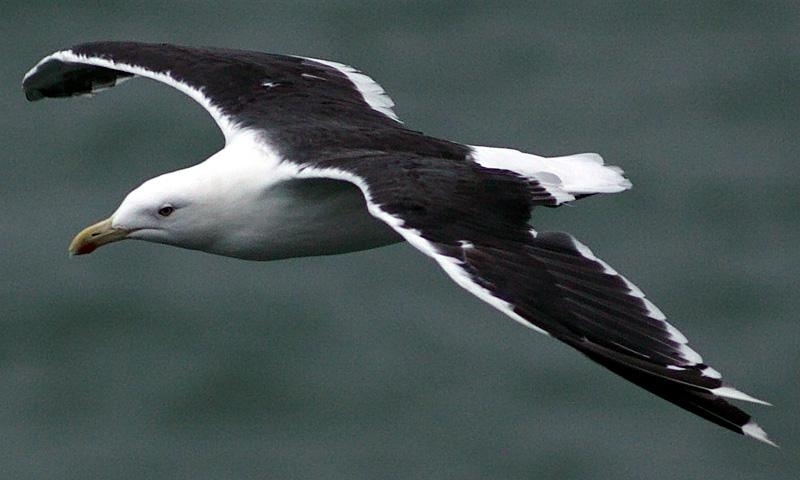 This is the largest species of gull in the world. 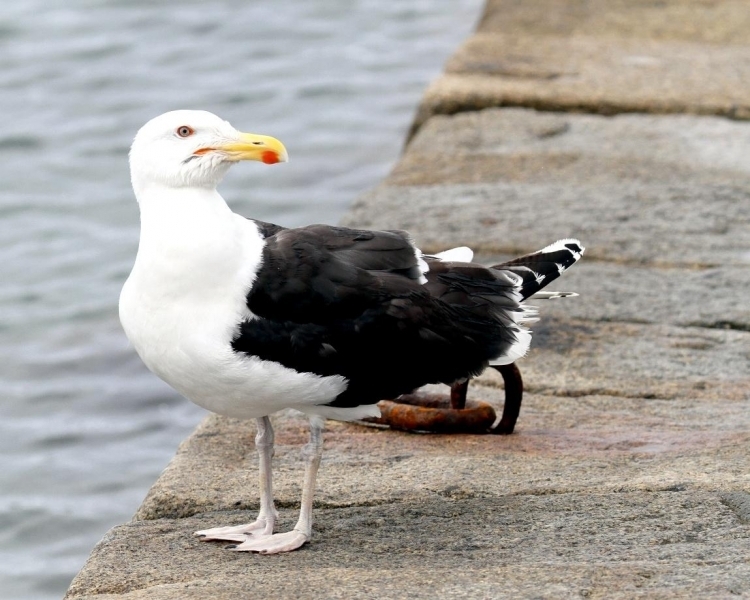 They are stout-bodied, with broad wings, a thick neck and a heavy, slightly bulbous bill. 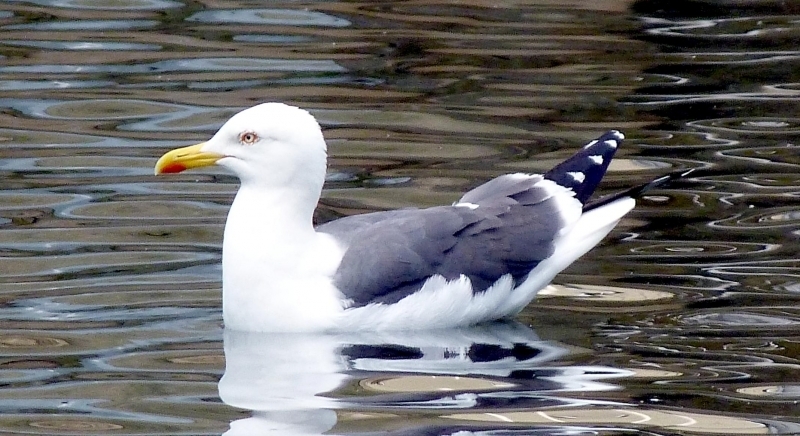 Adults are white with slaty-black upper-wings and backs. 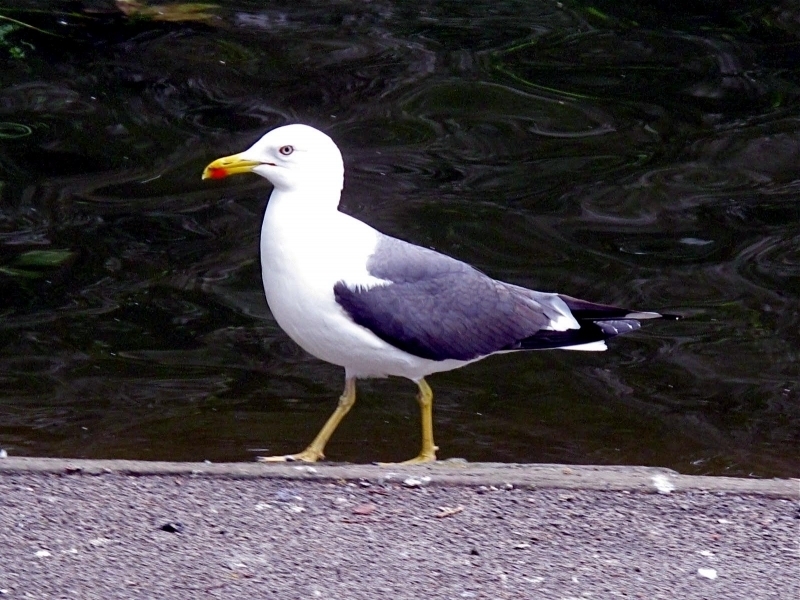 They have dull pink legs, a yellow bill with a red spot near the tip, and darkish eyes. 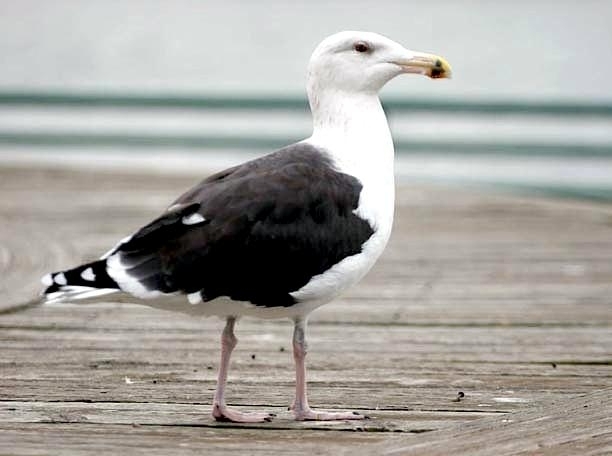 Juveniles are checkered gray-brown and white above; they have white-based, black-tipped tails, black bills, and blackish flight feathers. 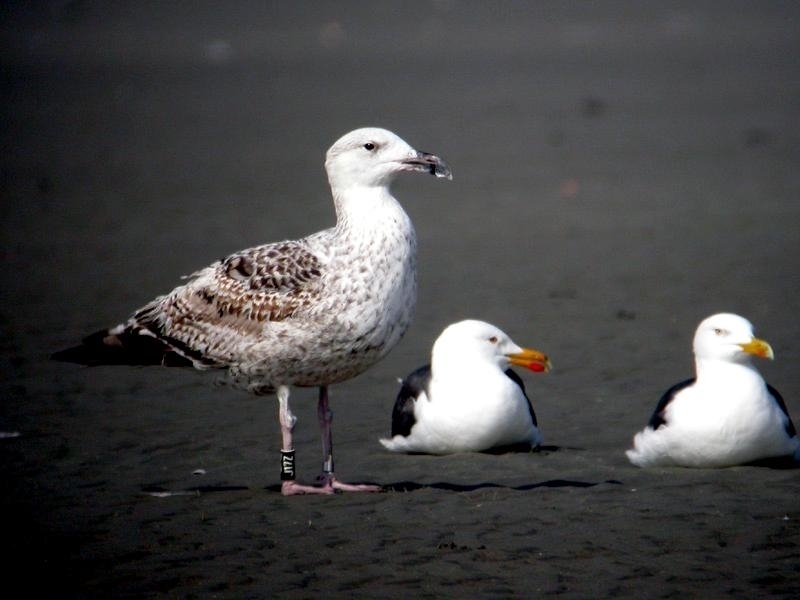 Over about 4 years, these crisp, cold-toned gulls transition to dark backed adults. 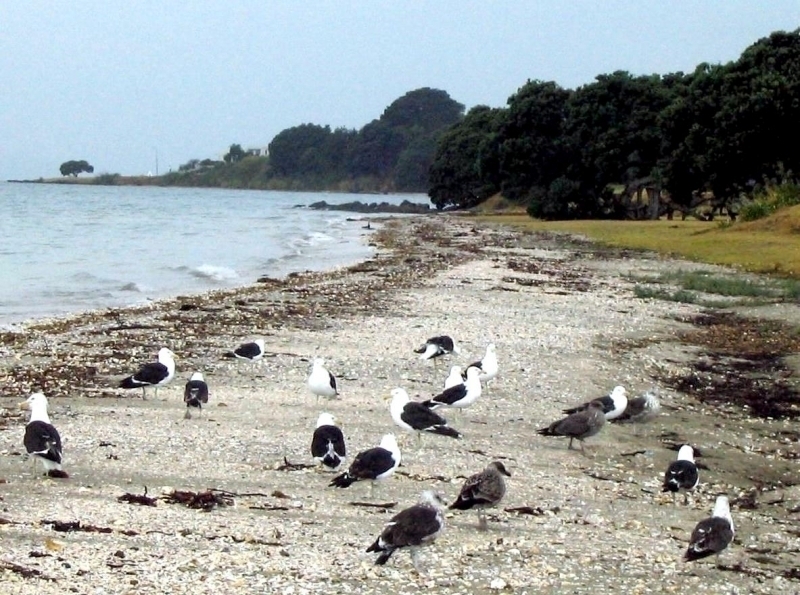 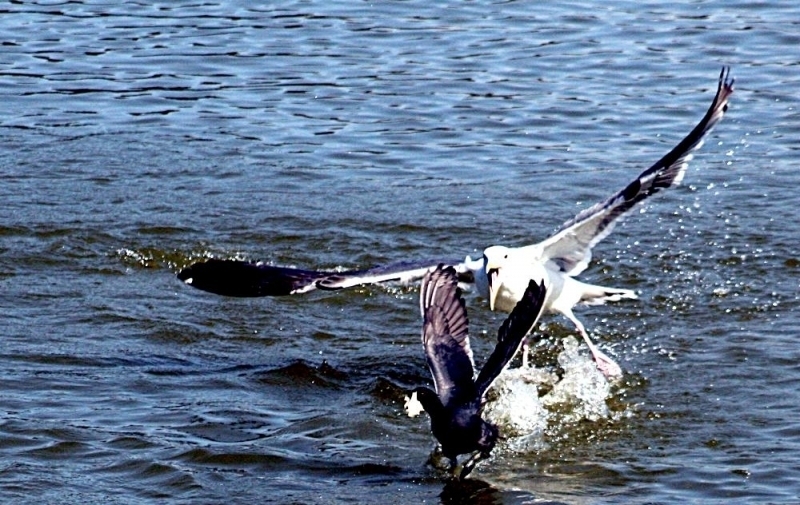 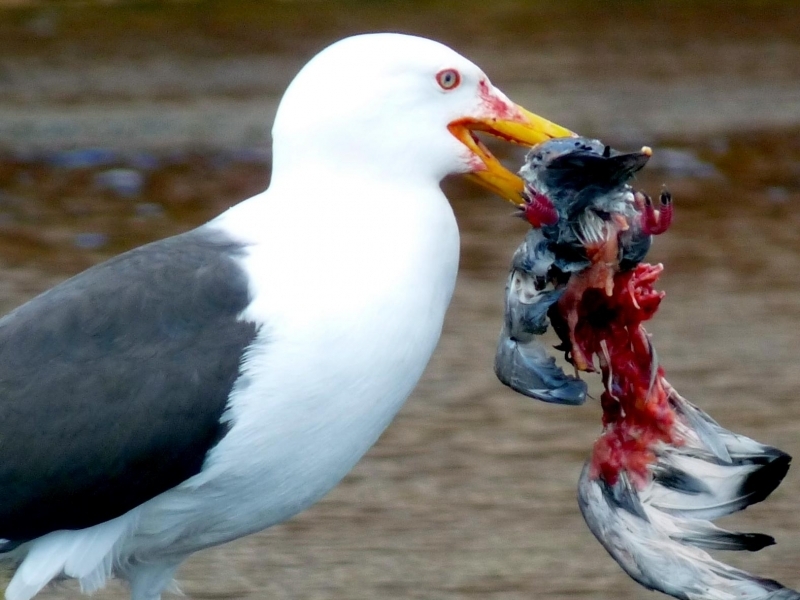 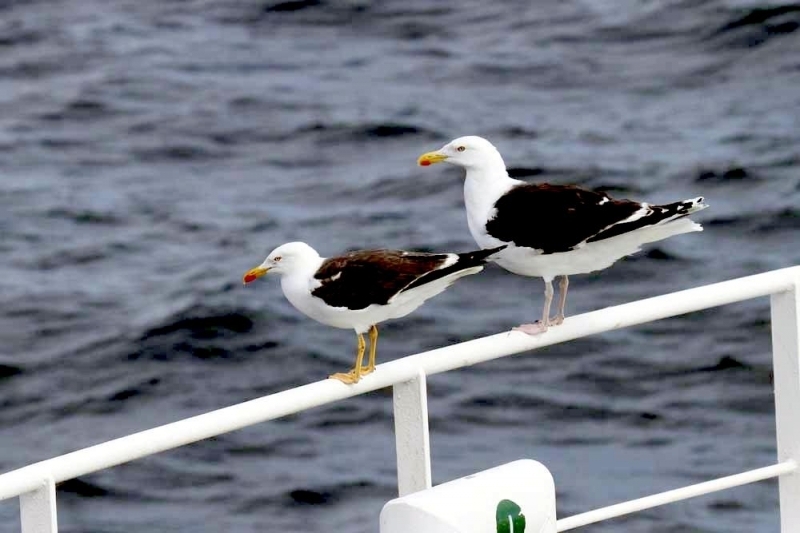 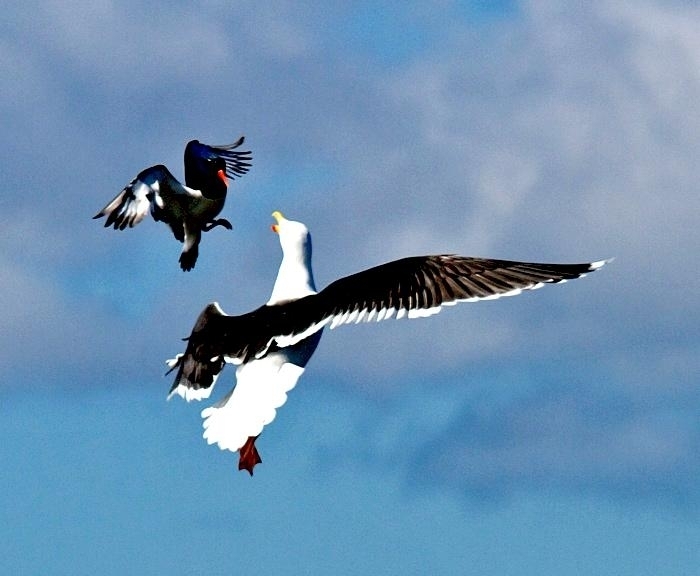 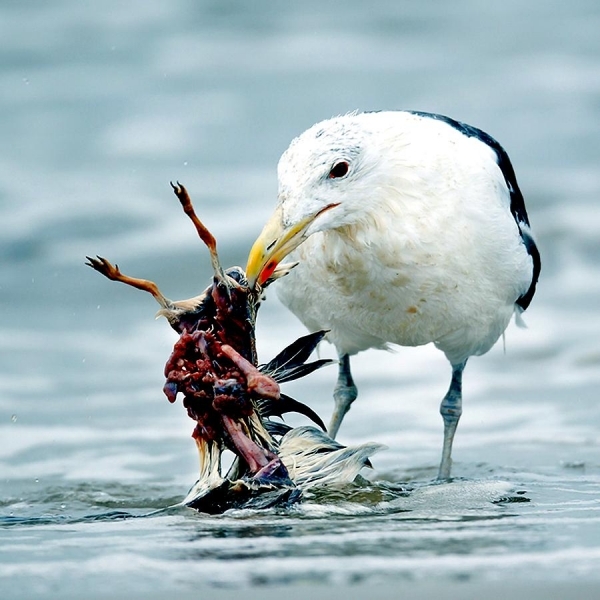 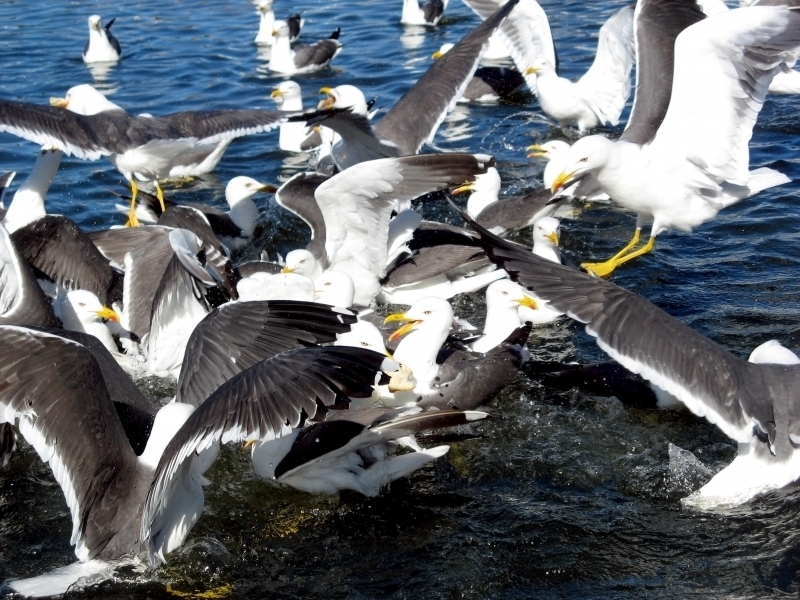 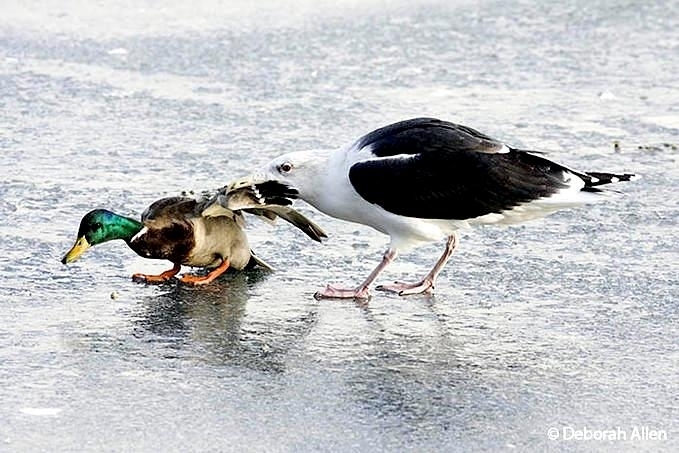 Black-backed Gulls are supreme opportunists. 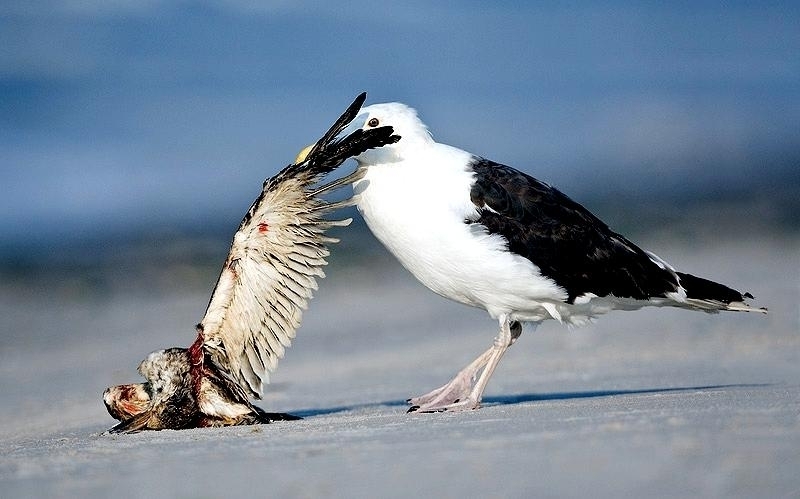 They follow fishing boats to pick up scraps of bait and discards, take garbage from trash cans & landfills, patrol beaches looking for morsels that wash up from the sea, harry other seabirds to steal their catches and ruthlessly prey on smaller birds, eggs & chicks. 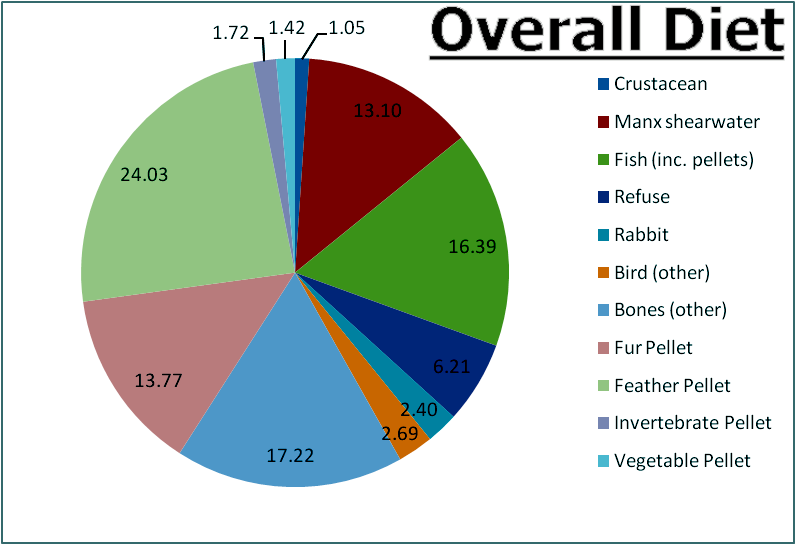 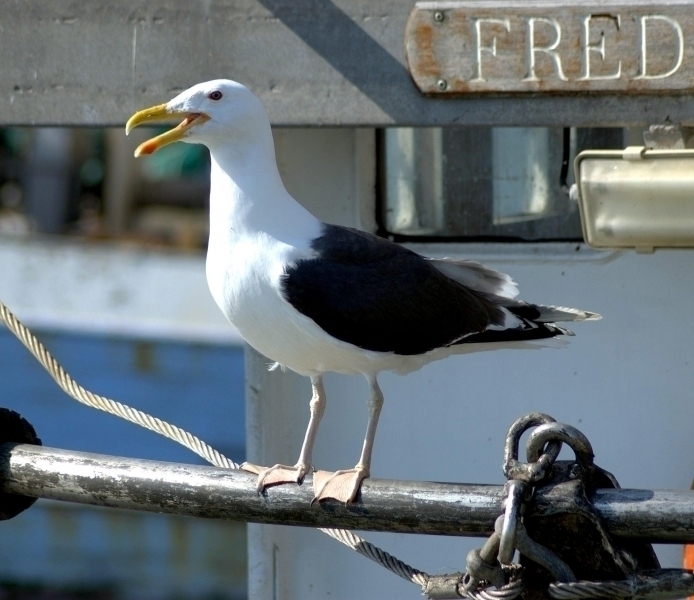 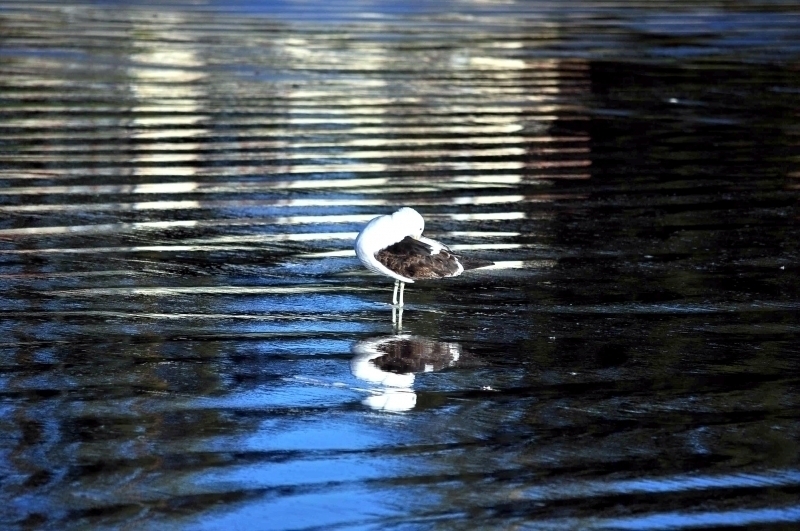 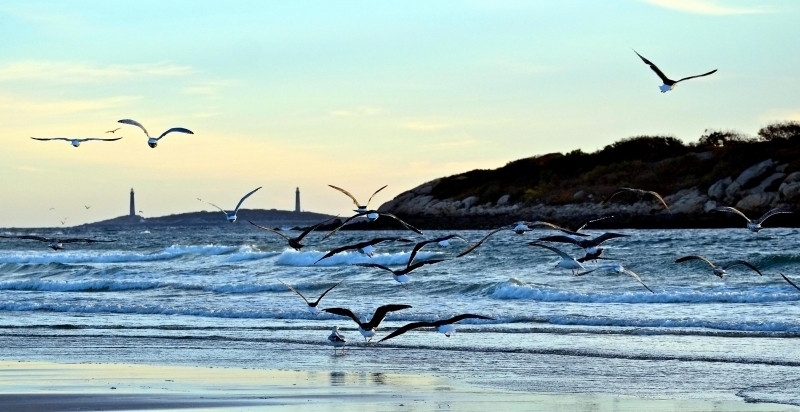 They feed with other species of gulls such as Herring Gulls and roost communally at night. 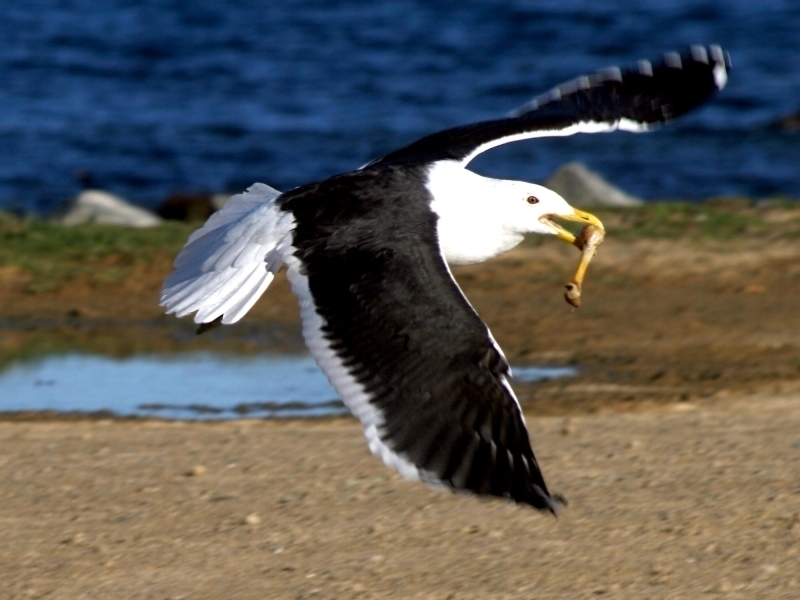 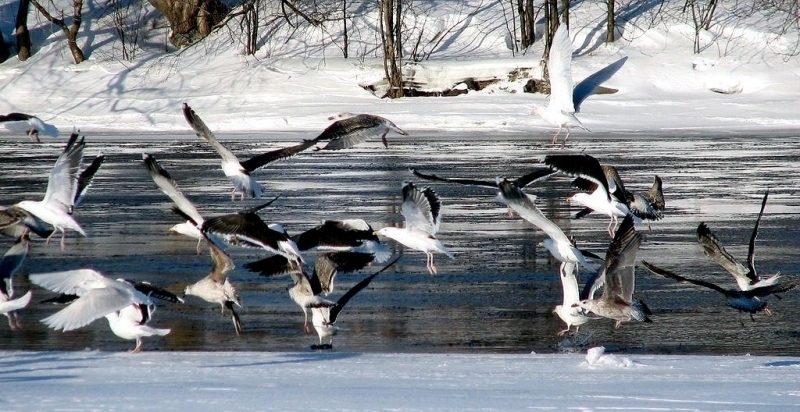 Black-backed Gulls live along the Atlantic Coast and inland on the Great Lakes. 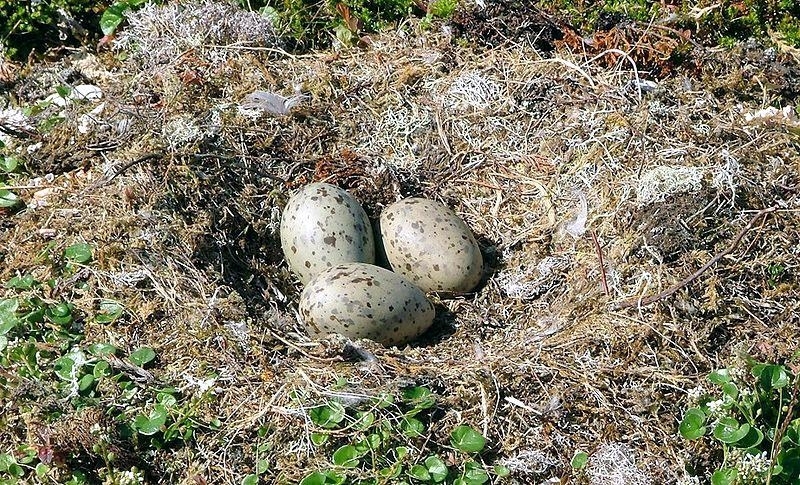 They choose isolated, predator-free sites such as piers or islands for breeding and then disperse away from the colony for the rest of the year to feed at sea, along coasts and at landfills.